2016 Tesla Model X How our users rated the 2016 Tesla Model X. Based on 254 user rankings. Driven or own this vehicle? Rank this vehicle to share your opinion. 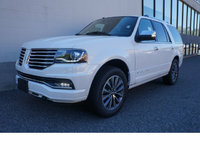 2016 Lincoln Navigator How our users rated the 2016 Lincoln Navigator. Based on 613 user rankings. Driven or own this vehicle? Rank this vehicle to share your opinion. 2016 Toyota Land Cruiser How our users rated the 2016 Toyota Land Cruiser. Based on 614 user rankings. Driven or own this vehicle? Rank this vehicle to share your opinion. 2016 Mercedes-Benz G-Class How our users rated the 2016 Mercedes-Benz G-Class. Based on 811 user rankings. Driven or own this vehicle? Rank this vehicle to share your opinion. 2016 Cadillac Escalade ESV How our users rated the 2016 Cadillac Escalade ESV. 2016 Cadillac Escalade How our users rated the 2016 Cadillac Escalade. 2016 Lexus LX 570 How our users rated the 2016 Lexus LX 570. Based on 433 user rankings. Driven or own this vehicle? Rank this vehicle to share your opinion. 2016 Land Rover Range Rover Sport How our users rated the 2016 Land Rover Range Rover Sport. 2016 Land Rover Range Rover How our users rated the 2016 Land Rover Range Rover. 2016 Lincoln MKT How our users rated the 2016 Lincoln MKT. Based on 407 user rankings. Driven or own this vehicle? Rank this vehicle to share your opinion. 2016 Mercedes-Benz GL-Class How our users rated the 2016 Mercedes-Benz GL-Class. 2016 INFINITI QX80 How our users rated the 2016 INFINITI QX80. Based on 389 user rankings. Driven or own this vehicle? Rank this vehicle to share your opinion.